EDMONTON – Researcher Tristan Jones was cruising the back roads of northwestern Alberta last summer when his studies suddenly became more than academic. 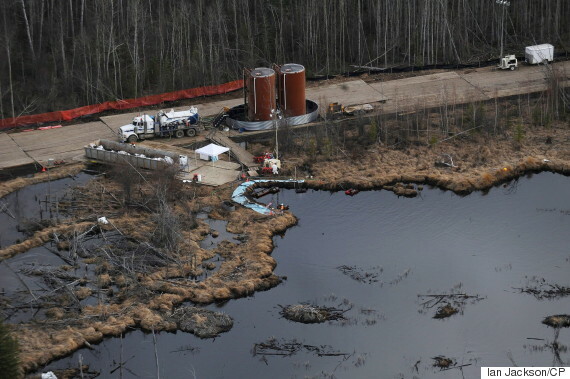 "It was kind of like we hit a wall of odour,'' said Jones, who's writing a PhD thesis at Rutgers University on how the energy industry has changed the environmental and social landscape near Peace River. "It was heavy. It was really strong,'' he said. "It was kind of like a mix of fresh asphalt, sulphur and who knows what else. The exposure lasted about 10 minutes; the effects a couple of hours. This wasn't supposed to happen any more. 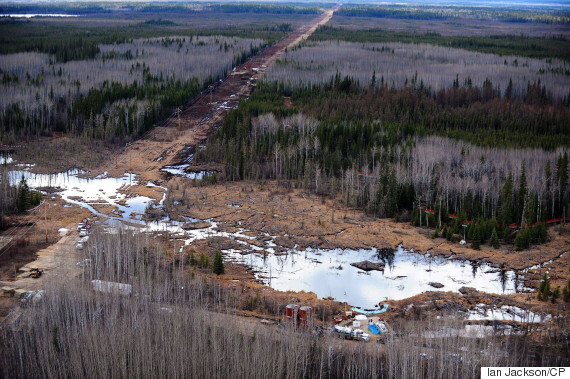 In 2014, the Alberta Energy Regulator held an inquiry into odours from heavy oil operations in the Peace River area after years of complaints from residents in tiny communities such as Three Creeks. Hours of expert testimony and reams of reports followed. The inquiry concluded the powerful, gassy stench emitted by operators was damaging people's health. It released a string of recommendations, all of which were accepted by Alberta's energy regulator and provincial government. More than two years later, some recommendations are in place. But seven key ones – including everything the province was supposed to have done – are still in draft form, under study or in limbo. While locals say things have improved, they say the smells are still there. "It seems to me that every government, every industry, when they meet, all they've done is meet their mandate to say, 'We're talking with people','' said Donna Daum, a retired teacher who has lived in the area for 14 years. The inquiry directed Alberta Environment to bring in a legal odour standard. The department is working on it. "It's still early days,'' said Dave Lyder, the department's senior air modelling standards engineer. "Odour's complex. Three different departments – Environment, Agriculture and Health – are involved. So is the energy regulator. Any standard, Lyder said, has to work for both industry and the restaurant down the street. What chemical do you actually measure? How are problems reported? How do you set a threshold, and how is it monitored? Lyder acknowledges no such framework is in sight yet. "Odour is by far and away the most common complaint in any jurisdiction – between 70 and 90 per cent." The story is similar at Alberta Health, which was to study links between odours and health, as well as supply doctors in the Peace River area with information to help their patients. Karen Grimsrud, Alberta's chief medical health officer, said the province, together with the Alberta Medical Association, expects to give Peace River doctors clinical practice guidelines for environmental health problems early next year. The guidelines will tell doctors what to ask, what to look for and who to contact for further advice. Consultations with residents take time, Grimsrud said. As for research, after 32 months Alberta Health is almost ready to begin a review of previous research. No field studies are planned. Grimsrud said that's what people in the community wanted. Lyder and Grimsrud acknowledge events such as the Fort McMurray wildfire have also delayed the work. The Alberta Energy Regulator says 12 of 16 recommendations directed its way have been implemented. New rules for practices such as flaring and venting gas are in place and being followed. Tighter restrictions on fugitive emissions, greater controls on flaring during ``upsets'' and an overall approach to development of Peace River heavy oils aren't in place. Agency spokeswoman Carrie Rosa said those directives have been awaiting government approval since January. Other holes exist. While airborne hydrocarbons are being measured, there is no target level for them. Air monitoring stations have been installed, but they don't immediately alert officials when there's a problem. And while odour complaints have fallen off, Daum said that's because people have given up calling the regulator. It's going to be an interesting dissertation, said Jones. Daum points out that members of the current NDP government – including Premier Rachel Notley – were loud in their support when they were in opposition.